Some of Australia’s major environmental groups claim the organisation known for establishing National Tree Day, Planet Ark, has turned ‘dark’ on forest issues and its celebrity founders have withdrawn their support. 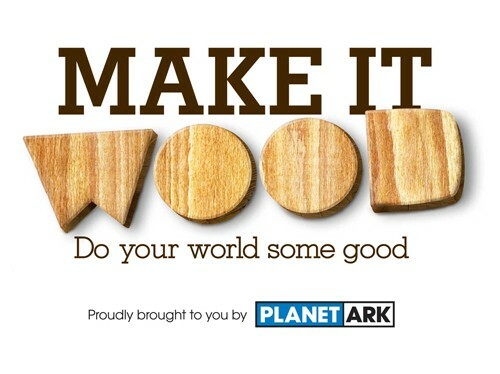 The reaction comes after Planet Ark’s controversial involvement in the 'Make It Wood’ advertising campaign which promotes the increased use of certified, responsibly sourced wood as a building material, along with the organisation’s decision to join the timber industry's certification system for wood products, called the Australian Forestry Standard (AFS). Planet Ark has also received a two year sponsorship agreement with the timber industry worth $350,000 per year. The Director of environment group My Environment, Sarah Rees, says these are confronting issues for big NGOs who traditionally don’t come out against each other. “Discussions with Planet Ark with organisations including the Wilderness Society and Greenpeace over 14 months have failed to get Planet Ark to amend its attitude to the issues of clear-fell logging. Rees says the founders of Planet Ark, environmentalist John Dee and tennis great, Pat Cash have now cut ties with the organisation they set up more than 20 years ago. In a statement co-founder Pat Cash wrote: “When Jon Dee and I started Planet Ark in 1991, we wanted to set up an organisation that showed people how to help the environment in their daily lives. “The deal with the forest industry and the controversy around the Peter Maddison TV advert has eroded Planet Ark's credibility as an environmental organisation. The Planet Ark board and management team should be held accountable for this decision to work with the forest industry, as well as the sale of Planet Ark Park and any staff redundancies. In response to written questions from the ABC, Planet Ark said one of the key objectives of the Make It Wood Campaign is to increase awareness and confidence in Forestry Certification systems. Planet Ark believes that certification is the best way to prevent illegal logging and encourage responsible forest management. “We don’t agree. Planet Ark is an environmental organisation committed to encouraging positive behaviour change. As such we believe that individuals and businesses have the power and responsibility to change unsustainable practices. In terms of forestry, consumer choice is one such method.